A soldier in the East Ukraine conflict takes a momentary rest. Photo: REUTERS. The Ukrainian military has completed the first phase of mobilizing 60,000 troops to fight in the East Ukraine war, in a fourth wave of mobilizations since hostilities with pro-Russian rebels began 11 months ago. The military is expected to add more than 200,000 people by the end of the year, according to Viktoria Kushnir, the press secretary for the Ministry of Defense. "The second phase of the fourth wave of mobilization is now beginning," Kushnir said Tuesday, adding that it is expected to occur in three stages, from January to August. That is happening while fighting in East Ukraine continues despite a ceasefire that went into effect more than two weeks ago. Overnight shelling in the cities of Mariupol, Donetsk, Artemivsk and Lysychansk has left three Ukrainian soldiers dead and nine wounded, according to the National Security and Defense Council of Ukraine. On Monday U.S. Secretary of State John Kerry met with his Russian counterpart Sergei Lavrov in Switzerland to discuss the hostilities. While saying that Moscow faced further sanctions should the rebels -- which the West says it supports -- not comply with the ceasefire, he also suggested that a truce could be in place within "hours, certainly not more than days." "I'm very hopeful that it will in fact be the start of a change which would be an improvement for everybody," he said. However, the shelling has once again threatened the ceasefire that was signed Feb. 12 and came into force Feb. 15. Pro-Russian rebels violated it six times in the night between Monday and Tuesday, the Ukrainian government said. "Starting from 2100 [9 p.m. Monday], the militants fired small arms on [Ukrainian] positions, provocatively and chaotically," the press center of Ukraine’s Anti-Terrorist Operation said in a statement Tuesday. 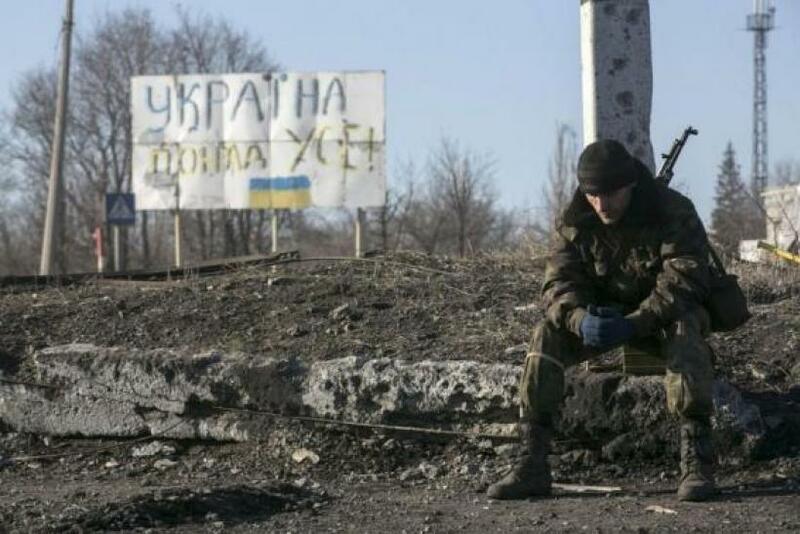 "Not far from Donetsk, the militants fired twice on our fortified position near the mine of Dutovskaya. They also attacked the villages of Myronivskiy and Maiorsk near Artemivsk." (The Ukrainian government frequently refers to pro-Russian separatists as terrorists.) The statement also said mortars were fired on the city of Avdiivka.